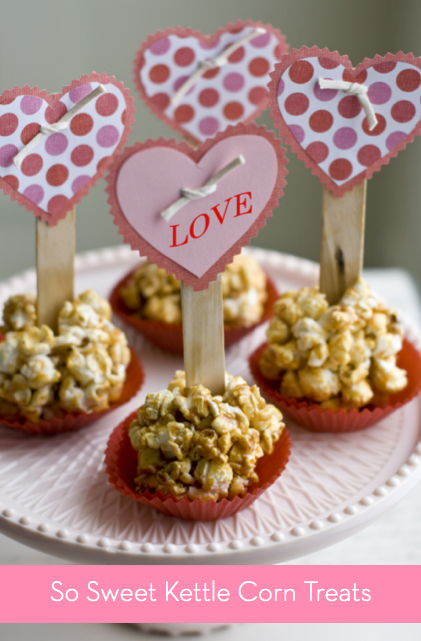 I love popcorn and there are a ton of ways to dress up the popular snack for Valentine's Day. My favorite is to make candy coated popcorn and throw in some Valentine M&Ms into the mix. 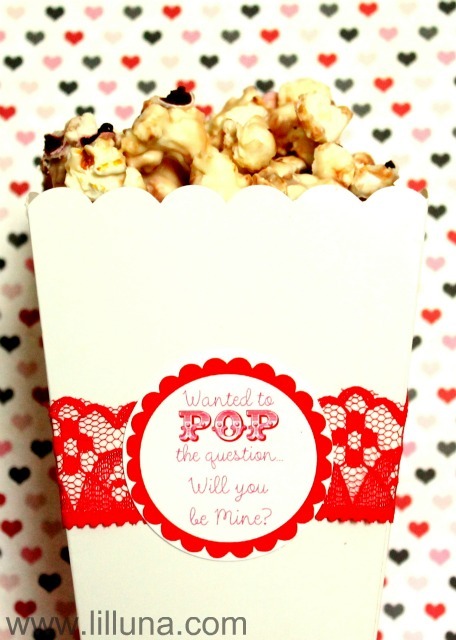 It is pretty similar to this sweet and salty valentine popcorn mix from Eat at Allie's. If you haven't tried it, you won't be disappointed. 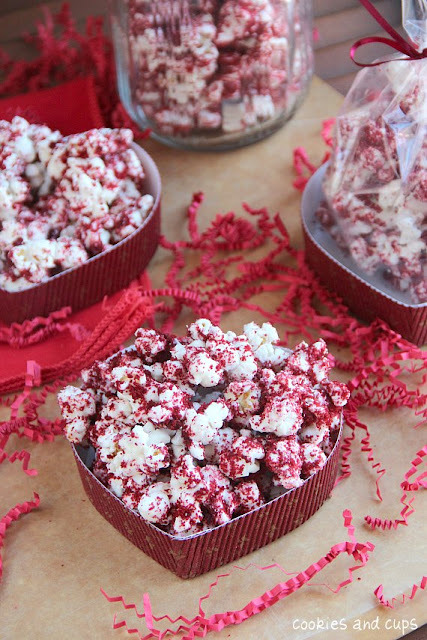 This year I think I will have to try something new, like this red velvet popcorn using the recipe from Cookies and Cups. My son loves red velvet cake and this might just show up on our front door as a treat from Cupid. Matthew Mead whipped up a treat for the holiday of love too. You can get the recipe for these So Sweet Kettle Corn Treats over at Curbly. 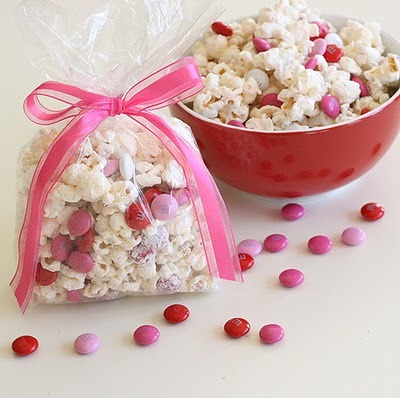 And no matter what version of Valentine popcorn you end up making, Lil' Luna has a cute Valentine popcorn bag and printable tag to wrap it up with.